Summer is an exciting time for a number of reasons: sunny weather, beach vacations, and, for your kids, no school! However, with the long, hot days of summer, come summer storms. With high levels of humidity and warm air rising, frequent thunderstorms are standard in summer. 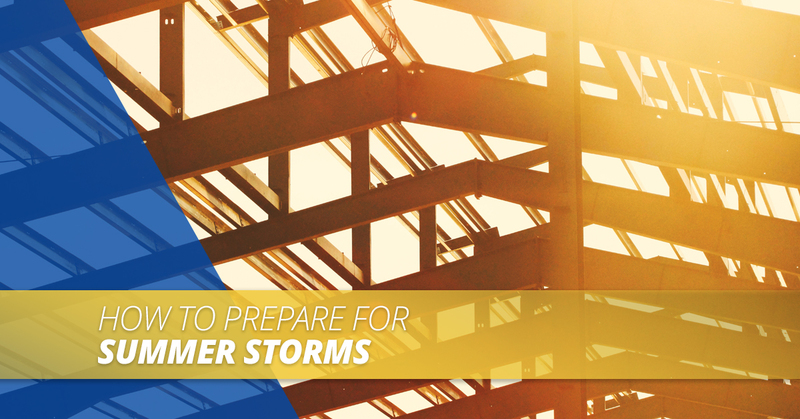 While these storms may be fun to watch from your window, for many homeowners, it is a stressful time as they worry about damage to their property. Because your roof is the first line of defense against storms, it is particularly important for you to pay special attention to roof maintenance and regular inspection to ensure that it can take the rain, wind, hail, and whatever else the weather throws at it. Fortunately, inspecting your roof is simple to do, and can help you address small problems now to prevent them becoming larger problems in the future. You can inspect your roof yourself easily with some precautions. Most of the time, you do not need to climb on your roof in order to inspect it, but if you do climb up there, make sure that you have a proper safety attire. It is best to inspect your roof from the ground, and then call a roofer to access the roof if you believe there is a greater problem. As roofing professionals, we have the safety equipment, experience, and knowledge necessary to inspect your roof safely. 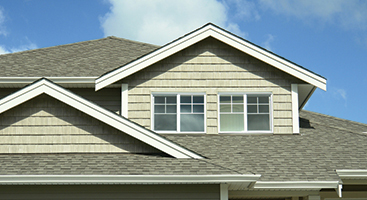 Damage: See if you are missing shingles, or if they are broken, curling, or bending. Also look for any dirt, debris, standing water, vegetative growth, or clogged gutters, drains, or downspouts. All of these signs of damage could indicate a current problem, or an eminent one. Examine Fixtures: Check the exterior fixtures to see if there is any damage, missing parts, cracks, leaks, rust, or rot. These include your chimney, decking, skylights, and vents. Keep your individual roof in mind and look for any areas where you may need to inspect, such as any crevices or different features. Interior Roofing: From inside your home, look to see if any water damage has been caused by leaks. If there are water spots on your ceiling, it indicates a roof leak. However, the source of the leak may not be exactly the location of the leak inside, so it is best to call a professional roofing company to find the source of the leak safely. Gutters are responsible for guiding water away from your roof. When a gutter is clogged with leaves and other debris, it causes water to pool on your roof, which can cause damage due to moisture and added weight. While the debris in the gutter may not appear to be damaging your roof, it may be causing issues with the under layers of your roof. Gutters cannot effectively divert water away from your home when they are clogged; therefore, it is in your best interest to make sure that they are clean before any summer storms. This is particularly important if you have tall trees around your home; you may need to clean more frequently because of this. Even if you don’t have trees around your home, with strong summer storm winds, debris can be easily blown onto your roof and in your gutters, so it is still important to clean your gutters. If you do have trees surrounding your home, it is also a good idea to trim them, as well as any other foliage you may have in your home. Tree limbs can cause damage to your roof during a storm because they can cause cracks while adding weight which speeds deterioration. Additionally, leaves and smaller branches can also trap water, causing moisture to pool on your roof. This can cause vegetative growth such as algae, which weakens and decomposes your roof and can be an eyesore if visible from the ground. Due to the high winds associated with summer storms, you are at a higher risk of damage if you do not make a point to trim your trees beforehand. If you note any signs of disrepair, it is time to address those issues before the next summer storm. By being proactive about roof repair, you can minimize damage from these signs while ensuring your roof’s longevity. Keep in mind that roofing is not a good DIY project. 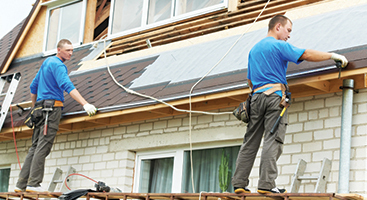 When there are issues with your roof, it’s time to call Ace Solar and Roofing in Charlotte. With our years of experience and extensive knowledge of roofing, we can fix your roof safely and effectively. At Ace Roofing, we are proud to provide our customers with superior roofing services. 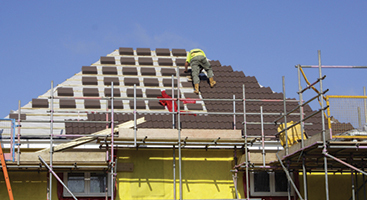 Whether you need your current roof repaired or a completely new roof installed, we can help. Contact us today for a FREE estimate!